Don't Forget! Being A Little Is Too Hard To Do Some Days. 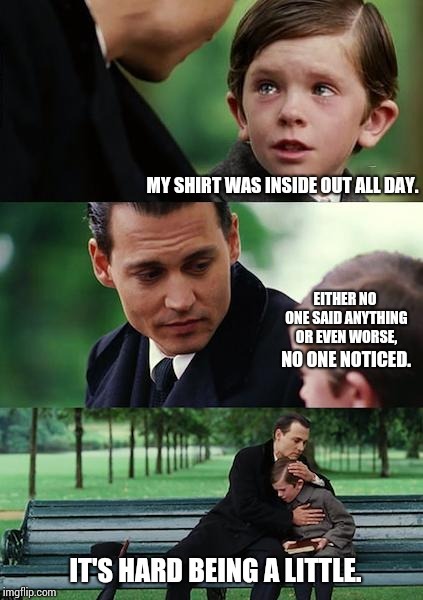 MY SHIRT WAS INSIDE OUT ALL DAY. EITHER NO ONE SAID ANYTHING OR EVEN WORSE, NO ONE NOTICED. IT'S HARD BEING A LITTLE.